Type: BOOKS. Detail: Hook, B. Product Code: 9789056912208. Category: NIC. Publisher: New in Chess. The story of Bill Hook?s life with his many passions: chess, painting, traveling, photography and blackjack. A regular at New York?s legendary chess club, Fisher?s on 42nd Street, Hook met a motley crowd of amateurs, hustlers and celebrities such as Marcel Duchamp, Stanley Kubrick and New York Times music critic Harold Schonberg. 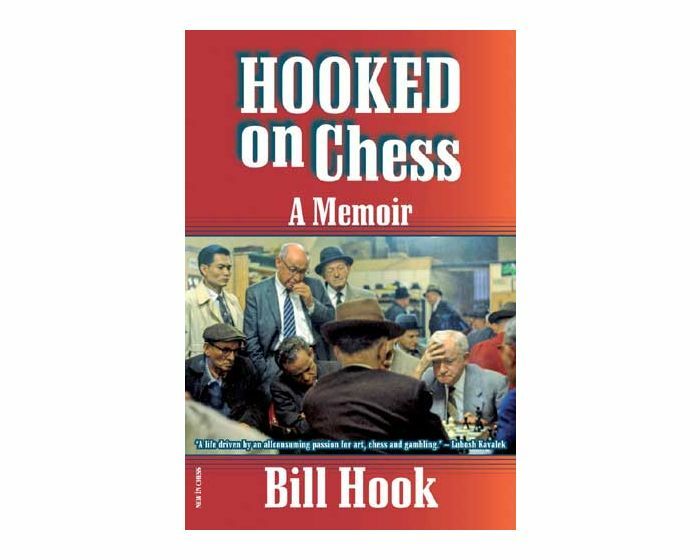 With a keen eye for detail Bill Hook portrays lesser gods and famous champions, including a young Bobby Fischer, who, after Hook beat him in their first four blitz encounters, started to cry. Lots of colour and bw photos. Softback 192 pages. New in Chess Yearbook 68. Sosonko, G. $9.95.